A recently leaked telephone wiretap picked up a conversation between two members of the First Capital Command (PCC) about the purchase of AK-47 and AR-15 rifles from Venezuela. The gang members are currently imprisoned in facilities in the PCC’s home city of São Paulo and in the northern state of Roraima along the border with Venezuela. Roraima state police intercepted the Sept. 4, 2017 conversation as part of an investigation that showed “for the first time that the border has become a trade route for heavy arms related to drug trafficking,” reported Brazil’s O Globo, which gained exclusive access to the wiretap transcript. In one part of the conversation, the PCC members discuss high-caliber weapons and their prices. “Jaçanã,” incarcerated in the São Paulo state penitentiary system, is speaking to a man identified as “Toni Caolho,” a prisoner at the Monte Cristo Agricultural Penitentiary in Boa Vista, Roraima, about caliber sizes. O Globo’s report also references the arrest of two Venezuelans a few months ago, when they were caught trafficking drugs to Roraima. Saved on one of their cell phones were messages from inmates in Brazil asking them to deliver high-caliber weaponry. These findings reveal the possibility that the most powerful gang in Brazil is smuggling drugs and weapons from Venezuela in search of new routes and partners to continue expanding its criminal activities in South America. On the other hand, this connection or exchange between criminal groups from the two countries is not surprising to Brazilian authorities. In August 2017, Roraima Gov. Suely Campos had warned about the increase of crime in the state due to an influx of Venezuelan migrants, and requested that Pres. Michel Temer strengthen security along the border. “We have 2,000 kilometers of land border with many hidden access routes that have been transformed into trafficking routes for drugs, people and heavy weapons by criminal organizations,” Campos said in a press release. While there is no certainty regarding the origin of the arms the PCC members were discussing in the recorded call, it would not be surprising if members of the Venezuelan military who are frequently involved in acts of corruption and drug trafficking are now driven by the economic crisis in their country to turn to arms trafficking with the Brazilian gang. 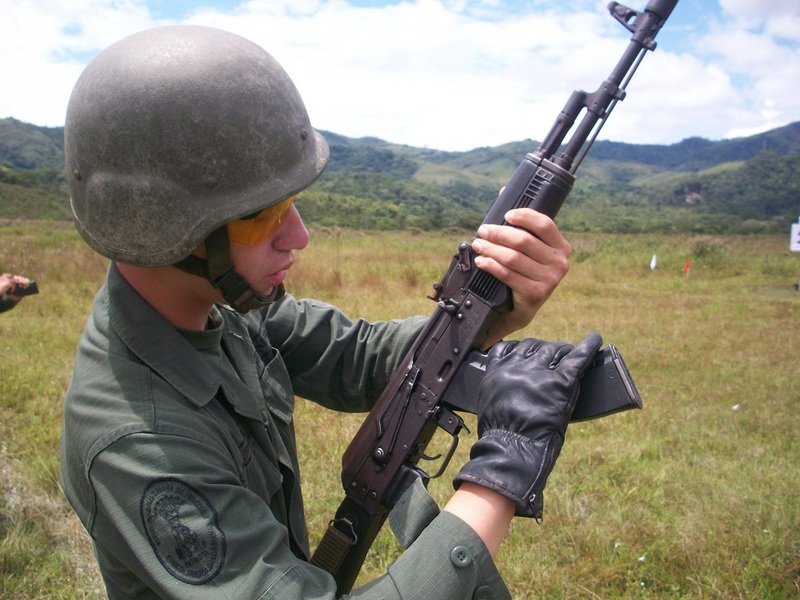 AK-47s are official weapons of Venezuela’s Bolivarian National Armed Forces. The institution has been accused in the past of selling or giving weapons to Colombian rebel groups and the gang leaders, or “pranes,” who control the prisons and mining region of Venezuela. AR-15s, meanwhile, are supposedly not imported by the Venezuelan government. But some elite police units received an endowment of such guns in 2017. A week ago, on Feb. 16, a judicial police officer was caught attempting to sell an AR-15 to a criminal organization. The value of both rifles on the Venezuelan black market is between $5,000 and $8,000. But in the Brazilian market, criminal groups pay up to $22,000 for these powerful firearms. Thus, Venezuela’s economic crisis and its government’s lack of control over the use and delivery of its official weapons are facilitating the activities of crime groups seeking to expand their illicit businesses in the region.